Microdosing Cannabinoids Provides Health Benefits People Want! MMJ Doctors Colorado Springs > Blog > Medical Alternatives MMJ Blog > Microdosing Cannabinoids Provides Health Benefits People Want! 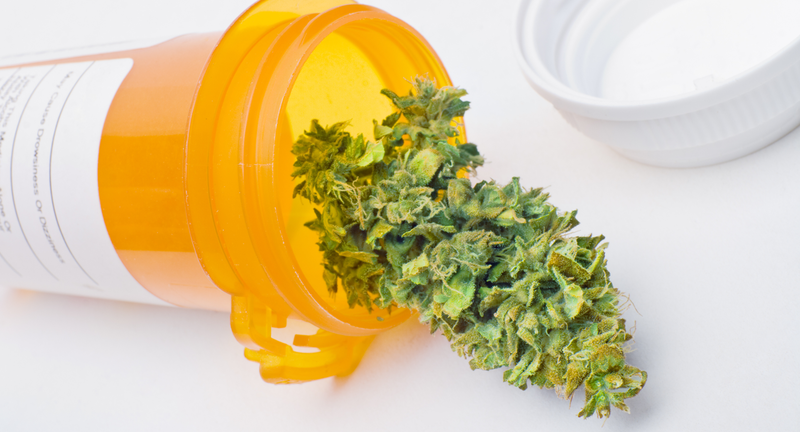 As the use and acceptance of medical marijuana continues to become more widespread, new products and methods of consumption are being introduced. Microdosing is a consumption technique that is becoming increasingly popular among medical marijuana users due to the health benefits of microdosing cannabinoids. It involves taking low doses of cannabis throughout the day to allow the user to experience the natural pain relieving and anxiety relieving benefits of cannabinoids like CBD while avoiding the intoxicating effects of tetrahydrocannabinol (THC) which can interfere with daily life activities. This low dose marijuana consumption strategy is quickly becoming mainstream for several reasons including microdosing for anxiety purposes. CBD does not produce the “high” that THC does, therefore maintaining a low level of this cannabinoid in one’s system can alleviate pain, discomfort, anxiety, and other physical and emotional symptoms without compromising focus or inhibiting the ability to work, drive, study, and carry out other normal daily activities. By taking small doses of marijuana throughout the day through microdosing, a medical marijuana user who requires the effects which THC produces can maintain low enough levels of THC in their systems to effectively avoid the intoxicating side effects which could markedly alter mood, mindset, and/or physical senses. By limiting the intoxicating side effects, a user is able to take full advantage of the health benefits that cannabinoids have to offer. A recent study revealed that medical marijuana patients are finding microdosing beneficial for reducing anxiety and stress. Other studies have shown that different strains of marijuana can assist with alleviating feelings of depression, managing OCD, and improving eating disorders. Studies conducted in 2012 surprisingly showed that patients with advanced forms of cancer actually experienced a greater reduction in pain using a lower dose of THC as compared to treating their symptoms using medium and high doses of this cannabinoid. A separate study found that patients with PTSD-associated insomnia, nightmares, and chronic pain saw significant relief of their symptoms using low doses of a synthetic cannabinoid. How THC affects a person is influenced by their liver metabolism, body fat percentage, individual genetics of cannabinoid receptors, and personal tolerance levels. If you’re interested in trying this low dose technique and want to experience the health benefits cannabinoids have to offer, the key is to begin slowly. Start with a very low dose, monitor the effects, and increase your intake very gradually as needed. The goal is to find the microdose that produces minimal noticeable effects. If you’re a medical marijuana patient, there are various modes of consumption and products from which to choose. Many medical marijuana experts recommend marijuana tinctures, oils, and edibles because of their precise THC levels, allowing for more exact dosing. When consuming marijuana through edibles, the effects may take up to an hour to be noticeable depending on how quickly the edible is digested. Smoking or vaping marijuana is another popular form of microdosing for anxiety, although it is more difficult to control the level of THC consumed due to factors such as the type of marijuana used. Indica strains usually produce sedative properties, while sativa strains can be more energizing. When using inhalation methods consumers should keep in mind that the effects will likely be felt in just a few minutes. Therefore, it is best to take just one draw or puff, wait five to 10 minutes, and then take another draw or puff only if necessary to feel the effects. If you have questions about the proper application of medical marijuana for your situation or want to know more about all the health benefits of cannabinoids, please contact Medical Alternatives Clinics at (719) 246-0393 or email us your questions at: hello@medicalalternativesclinics.com. If you would like to schedule an appointment, please visit our online portal. We offer convenient same day appointments for current and prospective medical marijuana patients and we can help you get your MMJ Red Card in three days or less!